Here is my version of Christmas bauble card. I don't have materials for heat embossing. 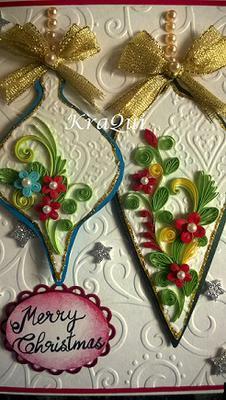 So I decorated the baubles with quilled flowers. I wanted to make a bow with red satin ribbon but it was not available in the shop... :-O So made a double bow with gold one. Hope you all like it. These baubles are so beautiful that I just had to show them to others so that they can make them too. 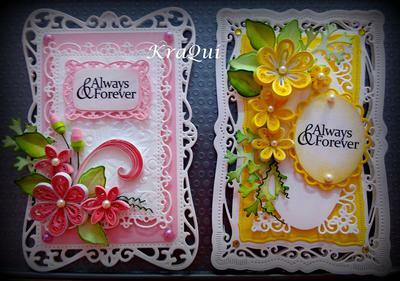 Quilling is beautiful but not something I have tried. Hello all. 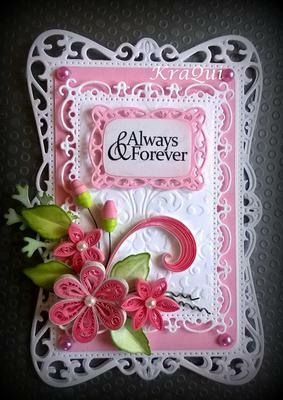 I was floored by watching Christina's filigree cards and purchased few card creators from Spellbinders. They are so petite that anyone will be awestruck with its beauty. I have use pink for one and yellow for another. 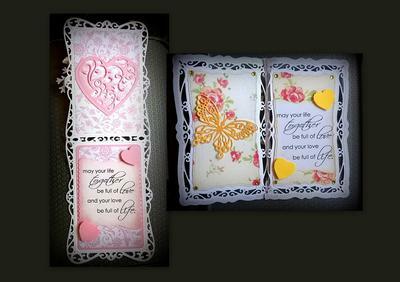 The inner panel is decorated with a heart die (Die D-Lites - Vines of Passion) from Spellbinders and in another butterfly die from Frantic Stamper. 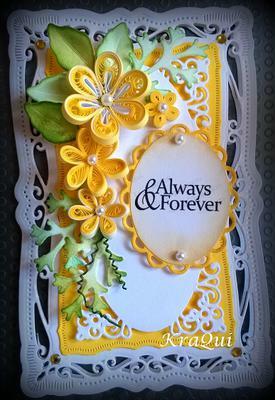 Since I do quilling I have decorated using quilled flowers to match the color scheme. 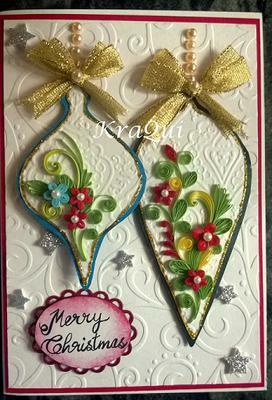 These cards are so beautiful and I am in awe of the patience it must take to make them. The flowers look so delicate. I just love the way you have chosen the colors and put the whole lot together to create what is surely a mini masterpiece.